Mini and I loved all the “Bear” series from the ” Bear Series”, But we especially loved Bear Stays Up For Christmas. What do you do with a very sleepy bear who wants to stay up and enjoy Christmas but can hardly keep his eyes open? Well, his friends try everything to keep him awake to celebrate. This adorable story makes a great unit study so we just had to create the Bear Stays Up for Christmas Unit Study. I think you and your little will have fun with this one. Make a Christmas Quilt– If you can sew consider making a simple doll (or bear quilt) from fabric with your child. Otherwise you can cut squares from pretty patterned scrapbook paper or tissue paper and make a simple one with a cardstock base. I used a plain solid 12” x 12” cardstock sheet as my base and used 2″x 2″ tissue aper squares from . Lay out your design before gluing on your squares to create a festive holiday pattern. 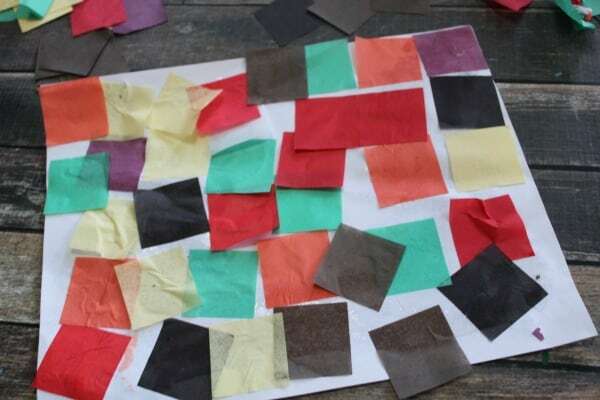 If you have little ones use the squares as a lesson in patterning or matching. 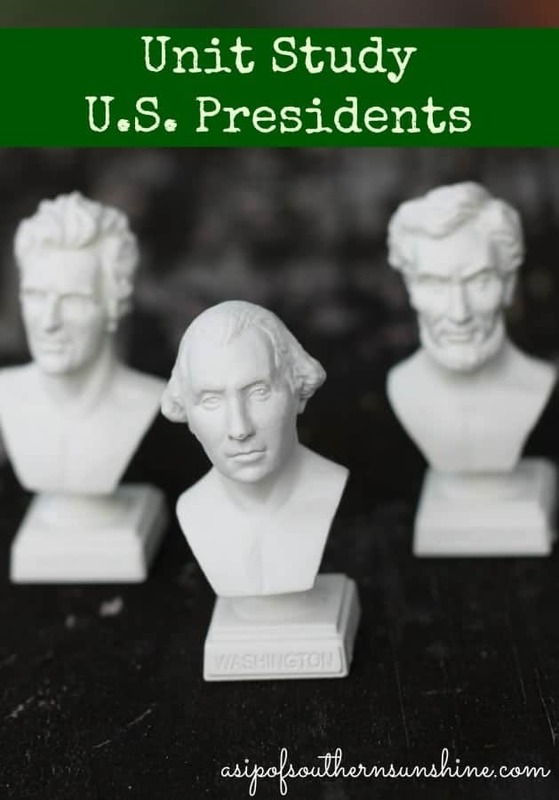 Hang up their creation as a holiday decoration. This sweet child led craft is a great keepsake! Popcorn String- Make popcorn and make a garland by pulling over a needle on a long string of thread just like bear and his friends. This makes a beautiful addition to your tree. Go on a Bear Hunt-Gather up all your child's stuffed bears, hid them throughout the house or indoors. Send your child off on the hunt with a laundry basket to collect all their furry friends. Set them up for quick picnic on a rug or quilt. Even a simple snack will make it a special activity. 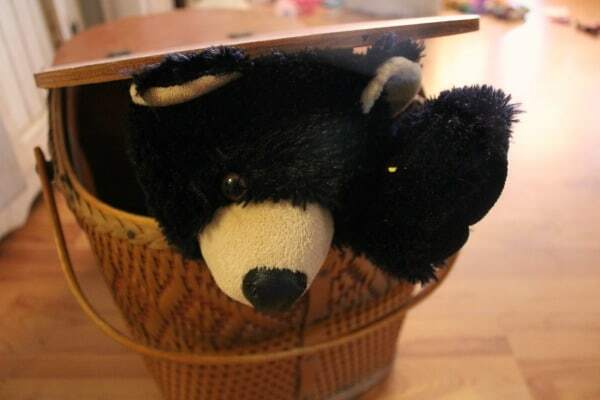 Make a Cave- Create a cave from a box and brown paper for your child's favorite bear to snuggle up in. Crumple brown paper bags or shipping paper and tape or glue to a large box. Encourage your child to nap, read, and play in their cave. Make a Bear Craft- This craft was simple but turned out so cute!All you need is a paper plate, a black pom pom, a muzzle and ears cut from brown craft foam, glue ground coffee, and 2 large google eyes. 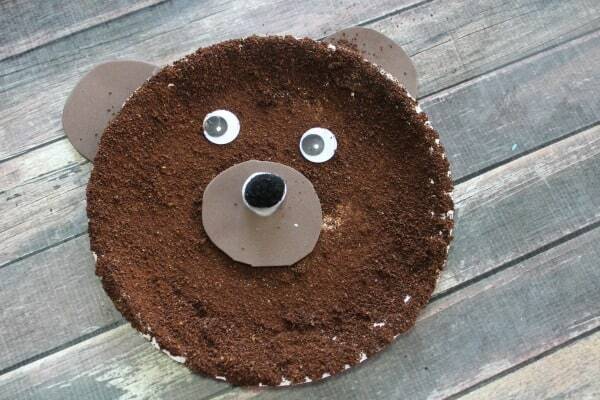 Paint a paper plate well with craft glue, immediately sprinkle with fresh coffee grounds, cocoa, or black tea-Not only does it give your bear a furry appearance but it will add a delicious sensory aspect too! Paint the plate well with glue, sprinkle coffee or tea all over, knock off excess, then add all your bears features, securing with glue. I love the fresh coffee smell of this chubby old bear! 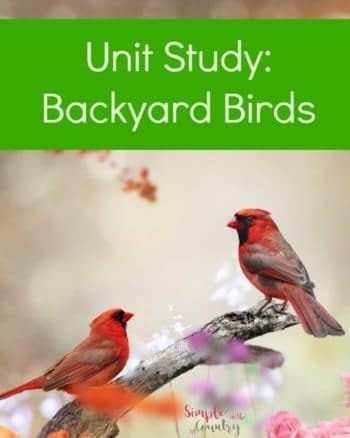 Learn new Words- Lair,hoist, hibernate, glorious, gathered, snuggled, soundly, – all make great words for copywork, handwriting, vocabulary, and story starters. 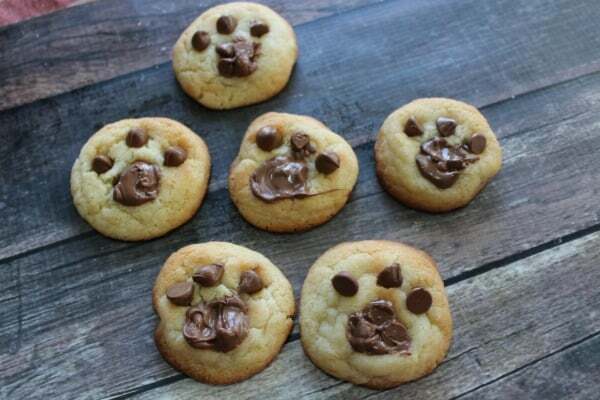 Make Bear Paw Cookies – Use a box mix or break apart sugar cookie, bake according to package directions. “Paint” on bear pad shapes like in the photo with melted chocolate, or press chocolate chips into warm cookies to create the bears foot pads and sprinkle on a little snow (powdered sugar) if desired. 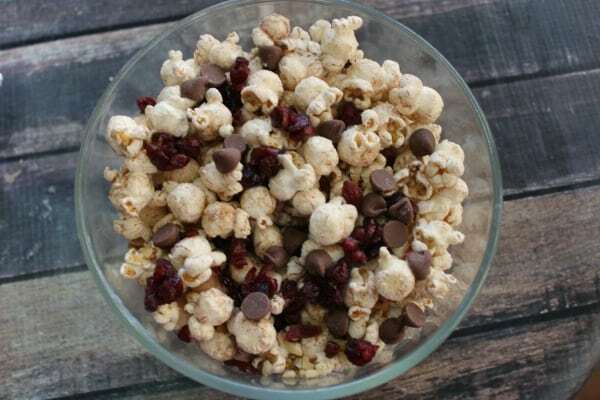 Make Bear Munch- You can toss together pretty much any mix of random snacks you have in your pantry and create a delicious munch snack. Some ideas are -Teddy Grahams (well of course), goldfish, popcorn, chocolate coated candies, dried fruit, small crackers, seeds, nuts, and other small items. 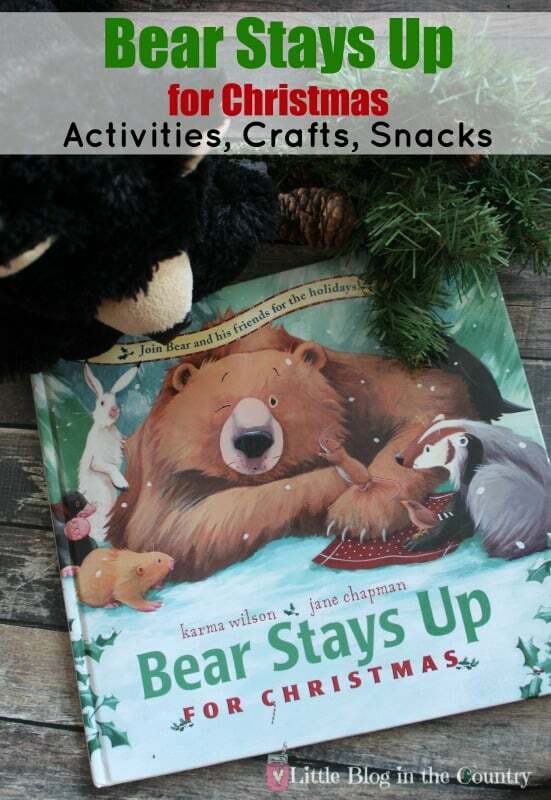 Enjoy Bear Stays up for Christmas Unit Study and here are a few more book based posts you might like!